It seems like food recalls are in the news every week. Or heck, almost every day. And food safety is something we take incredibly seriously at Festival Foods. So much so that we have a crack team of associates dedicated to making sure the products we offer our guests are the highest possible quality. And what better way to highlight our commitment to your safety than to showcase our Food Safety & Quality Assurance Team? 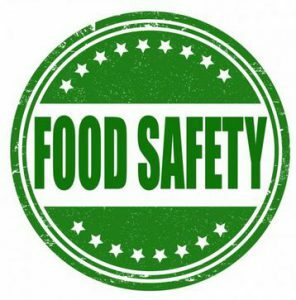 On a daily basis, our food safety team is checking with a variety of government agencies, as well as our vendor partners, for possible concerns or health hazards and then communicating that information to our associates in the stores across the state. They also check in with a variety of government agencies, such as the FDA and USDA, and work quickly to communicate the recall procedure when needed. Rolando Isais does the food safety assessments at all of our stores and he provides guidance to our associates to ensure we are following all food safety policies and procedures so that our stores have only the highest quality foods. Outside of work, Rolando and his wife, Laura Page, have a dog and four cats. He likes pizza and ice cream and almost all food with cheese. Stephanie Teclaw makes sure the labels on all our products, including those our associates place on your deli and bakery orders, are correct and comply with federal, state and local regulations. She also manages our company’s nutritional database so that we can provide guests with accurate information. She manages the recall process for Festival and maintains our recall website. In her free time, Stephanie enjoys boating on Lake Michigan and the Fox River. She likes Nordic Skiing in the winter and she competes in the American Birkebeiner every February!